In another article, this site explores some innovations in architecture with the interesting developments we see with the spread of virtual reality (VR). These developments have the potential to alter and improve an entire industry. 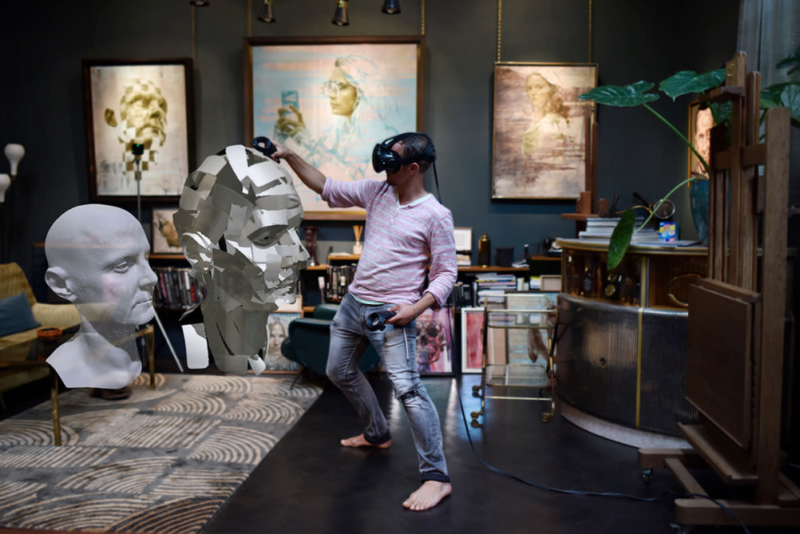 Yet they represent only one of the numerous ways in which VR, art, and design intersect. Strictly speaking, we might say any design for VR is “digital.” However, the inference here is that art and design are created on an electronic device. For example, think about high-end mobile tablets and the pens that they use. The tablet pen gives the operator the ability to design graphics in a way that feels more like using real tools. VR can basically elevate this whole concept to a higher level. One reason is that in a virtual realm, the object is able to enlarge or reduce to perfect the design. This is useful in everything from crafting logos to setting up web pages to the interior design of your home or office.